This is war. Sometimes our village is hit and nobody understands who's firing, where it's coming from. The conflict has forced more than 1,5 million people to leave their homes and more than a million to flee the country. The conflict in eastern Ukraine is far from over. This year, 400 civilians have been injured or killed along the contact line separating the government-controlled areas from the pro-Russian separatist regions. That’s more than last year. Not a day goes by without hearing the sound of shelling despite an official ceasefire. We heard it when we visited 80-year old Evdokia Vasilieva Taranenko. 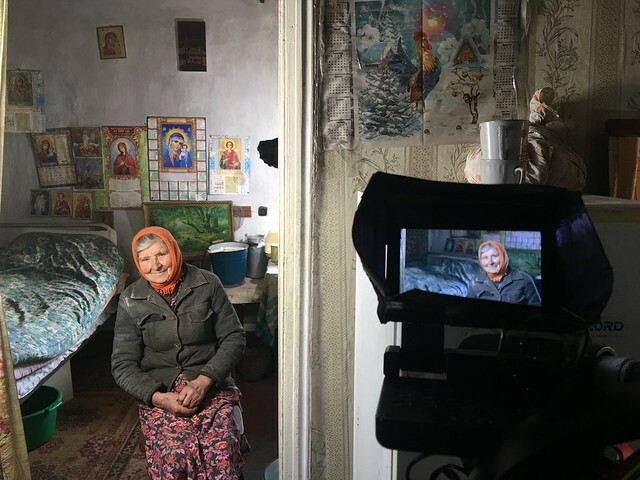 She has lived in the village of Pervomaiske for more than half her life. 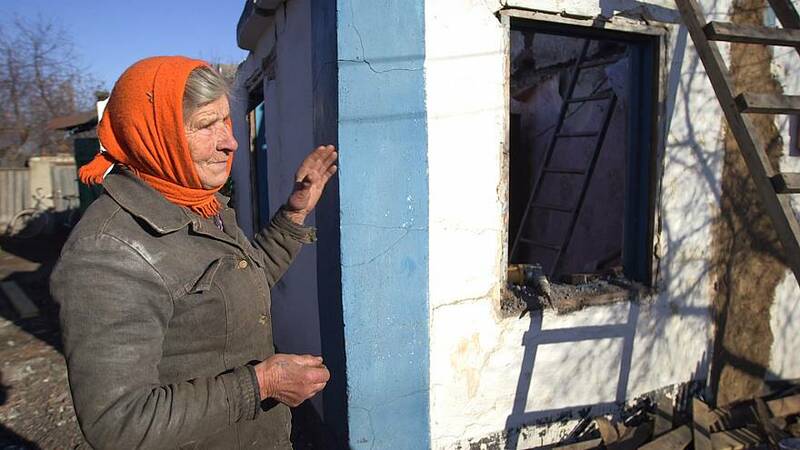 Her home lies just three kilometers from the frontline and has been hit twice. Evdokia has lived with a damaged roof for two years. This autumn, she received help from the EU-backed NGOPeople in Need. It has helped repair 40 houses in the village ahead of winter, mainly restoring roofs and windows. “This is war. Sometimes our village is hit during the day and nobody understands anything – who’s firing, where it’s coming from. It’s not easy. When night falls, it’s even scarier,” Evdokia tells us. We travel south to Marinka near Donetsk. The small town is right near the frontline in the so-called Red Zone and experiences frequent shelling. The local population, which is already struggling to get by, is dreading winter. Entire areas have been without gas since the conflict broke out in 2014. The Czech NGO has reached half of the people in need in Marinka. Each family has received six cubic meters of firewood, which should cover the winter period. For Vitaly Vladimirovich, being an ex-miner was useful in the beginning, but it no longer helps. According to the NGOs working here, the humanitarian situation is getting worse. People are returning to their homes, but they don’t have jobs. The movement of merchandise across the border is limited and goods are hard to get hold of – those that do get through are expensive. “In the last year and a half, as the contact line has stabilized, we have been targeting specifically those living in conflict-affected areas,” says Mathias Eick of the EU’s Humanitarian Aid and Civil Protection department (ECHO). Shelter repair and heating are just some of the basic needs of those living along the contact line like Evdokia. According to People in Need the level of food insecurity has doubled in this past year alone.